Rub a chicken with our Pronto Mama Jalapeño and Garlic Paste and you’ll enjoy the lovely mellow taste of garlic with just the teensiest bite of chilli. Place the chicken in a foil-lined roasting dish and cover with the jalapeño and garlic paste. Season well with salt and pepper. Place the potatoes, lemons and shallots in the roasting dish. Drizzle everything with olive oil. Season the veg with salt and pepper, and add the rosemary sprigs. 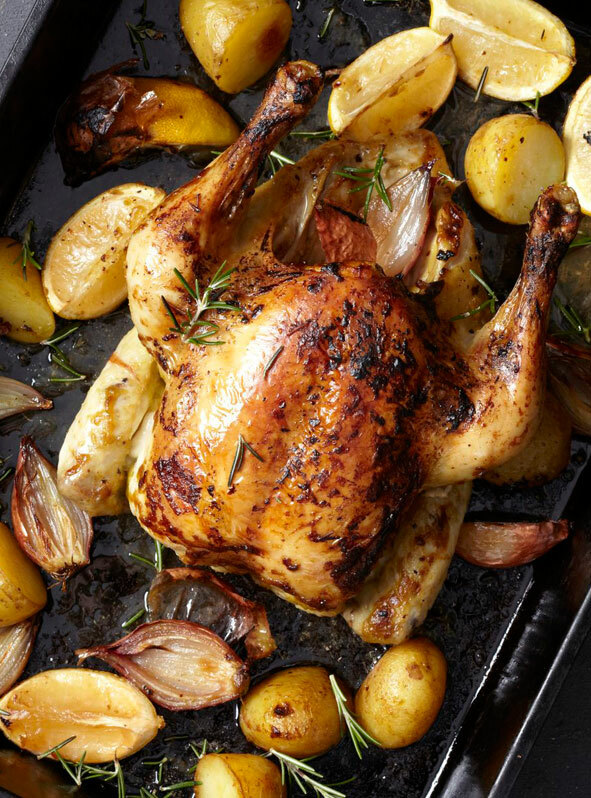 Roast in the oven for 1 hour or until the chicken is golden brown and cooked through. Cooking time will vary according to the size of the chicken. Remove from oven and allow to rest for 10 minutes before portioning and serving.